Mini Pleating machines are designed to deliver optimum production value and are available in different specifications as demanded by the customers. These Mini Pleating Machines are also available with maximum media pleating width of 610mm (24), marking rollers assembly pleat depth of 20 to 65mm, roll unwinding stand with paper tensioning device and pneumatically operated paper roll loading arrangement. 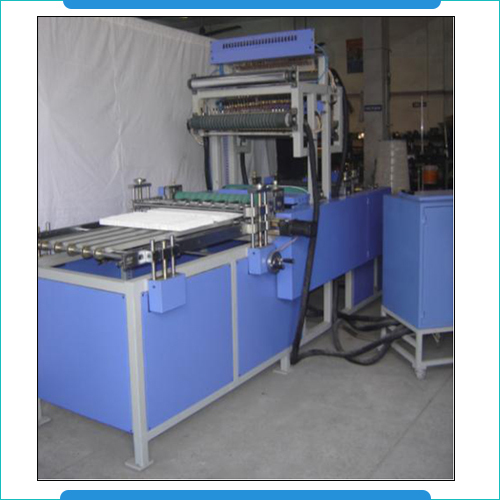 Some other specifications of the machines include paper holding arrangement for end pasting, adjustable height based pleat compactor and pleat counter with marking device. Marking rollers assembly. pleat depth. 20 to 65mm. Paper holding arrangement for end pasting.